Their worst fears conquered (for now? ), our heroes have a new Dread creature to face in this next part of Phoenix Dawn Command, a RPG by Twogether Studios. The Dread Knight is defeated, but where is the Flamekeeper? Our heroes still have work to do in this next part of Phoenix Dawn Command, a RPG by Twogether Studios. 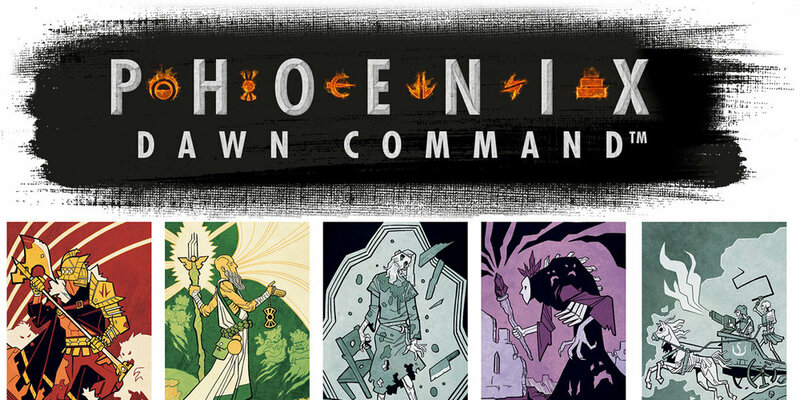 It's time to get the layout for our next campaign: Phoenix Dawn Command! In this episode, Jimmy takes the wheel as the GM and gives us some information about the setting. Then, we go into our different characters and let you know the kinds of people that we will be playing. A brief break in our Star Wars campaign as the Dirtbags talk about their experiences at Gen Con 2016! Half of us had been there before, but half of us were experiencing it for the first time! We talk about the games we tried, the panels we saw, and all the craziness in between.